Christies Geneva set to raise millions from Magnificent Jewels sale. Christies is promising that some of the world’s rarest gems and period pieces of jewellery will go under the hammer at its November 12 Magnificent Jewels auction in Geneva. 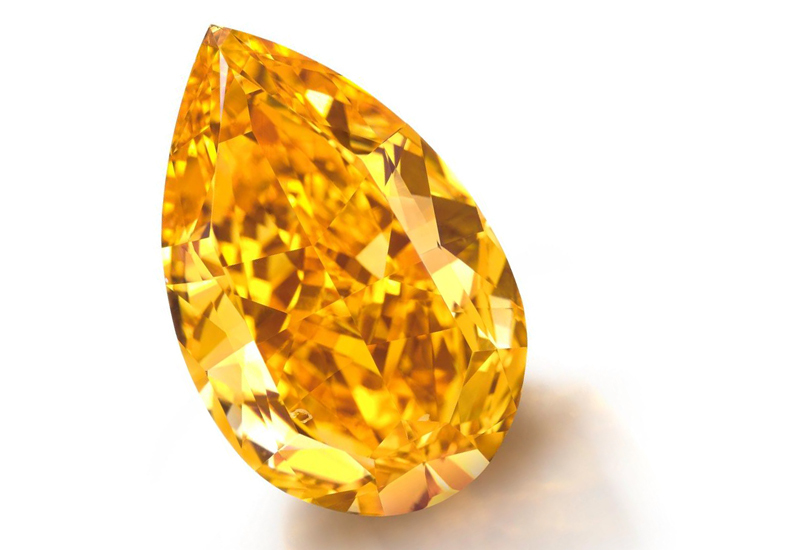 Centrepiece of the sale will be The Orange, the largest fancy vivid orange diamond ever to appear for sale at auction. The 14.82 carat stone, comfortably the largest fancy vivid orange diamond in the world, will be the centrepiece of an auction featuring over 280 lots. Its pre-auction sale price is estimated at up to $20 million. The four Cs of major gems will grab headlines, but the provenance of historic pieces will also attract major buyers. “Princess Faiza’s emerald and diamond necklace is a very rare souvenir of pre-revolutionary Egypt in the late 1940s. The discovery of this truly amazing piece of jewellery, which could have been lost forever, brings back to mind the memory of a most elegant, gracious and beautiful woman: HRH Princess Faiza of Egypt,” a Christies spokesperson said. Other lots have more contemporary stories. A 58.29 carat sapphire mounted in a multi-gem Côte D’Azur brooch designed by Anna Hu could sell for over $3,500,000. Anna Hu is a red carpet favourite for stars such Madonna, Gwyneth Paltrow, and Natalie Portman.